Who Should Play Steve Jobs In the Now Inevitable Steve Jobs Biopic? I very much doubt Steve Jobs would have approved of a movie about his life, beyond what's been produced already, but in this case it doesn't really matter anymore, does it? 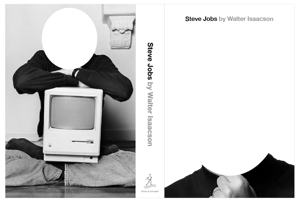 Word is Sony Pictures has inked a deal with Steve Jobs biography writer Walter Isaacson for $1 to $3 million to produce a movie based on his upcoming book. And yes, this is the same Sony Pictures that's been on a tear lately with real life, books-become-movies biopics like The Social Network and Moneyball. Here's hoping they can apply the same kind of touch to Steve Jobs: Title TBD that they have done with those two flicks.